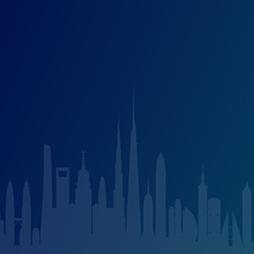 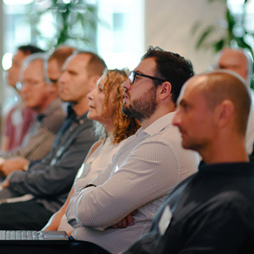 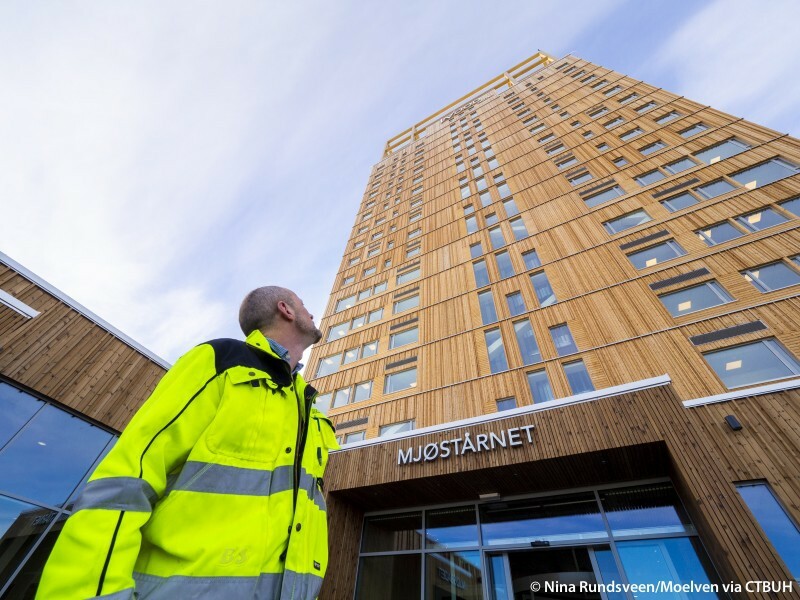 The design concept of Mjøstårnet was inspired by the Paris Agreement to combat climate change and began as an idea to reduce carbon dioxide emissions while sustainably sourcing construction materials locally. 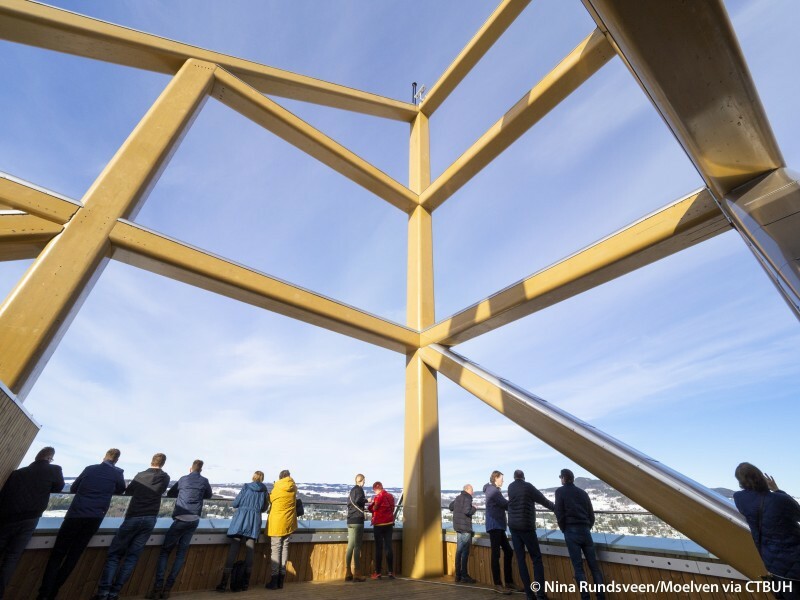 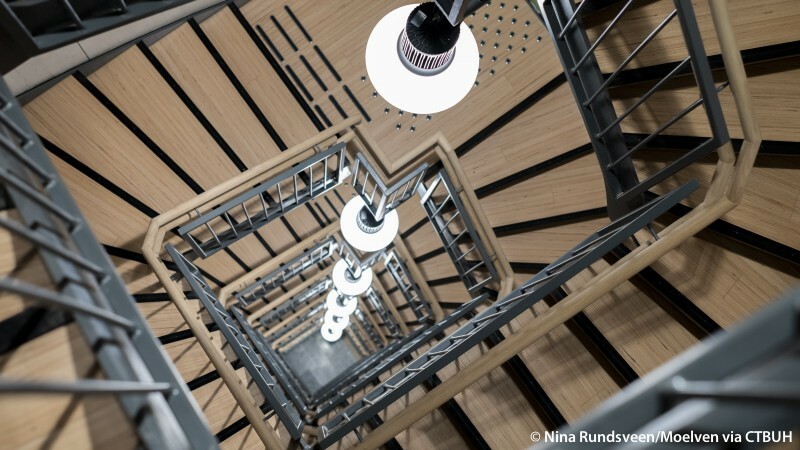 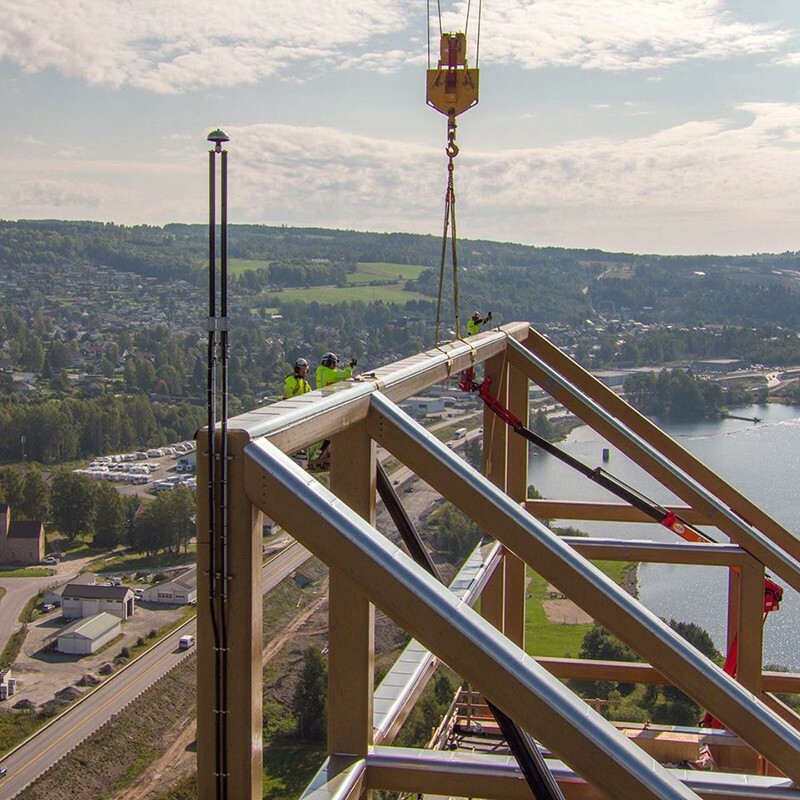 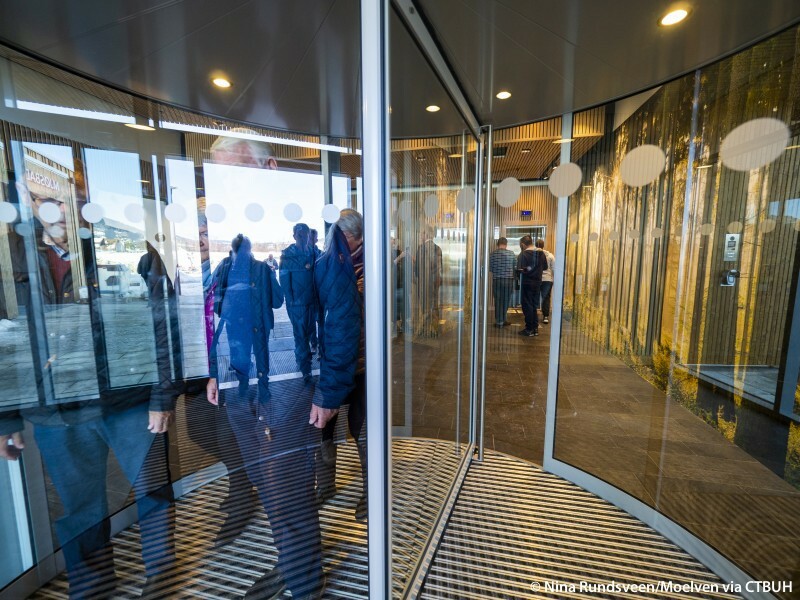 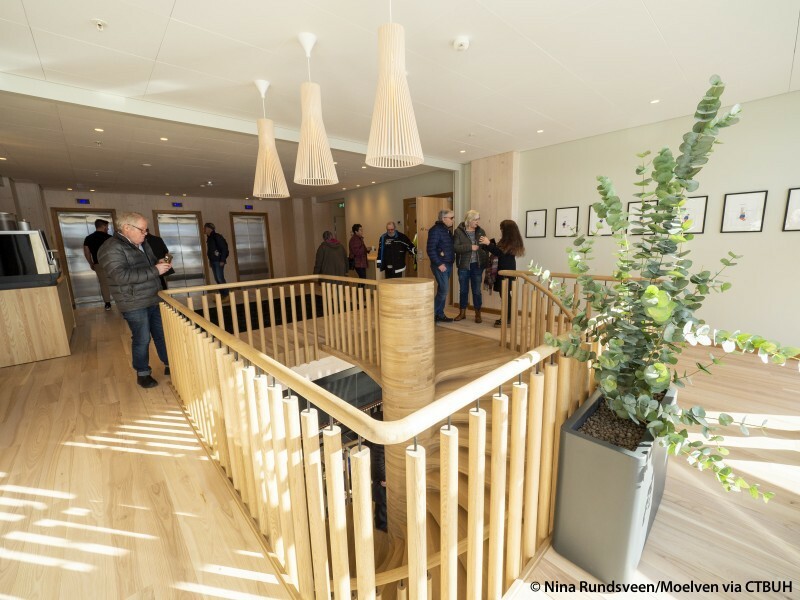 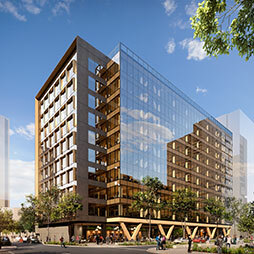 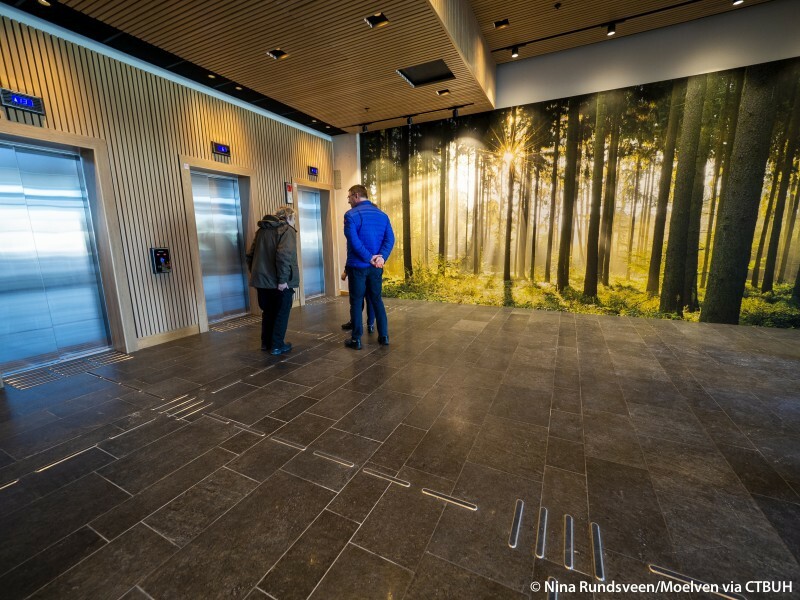 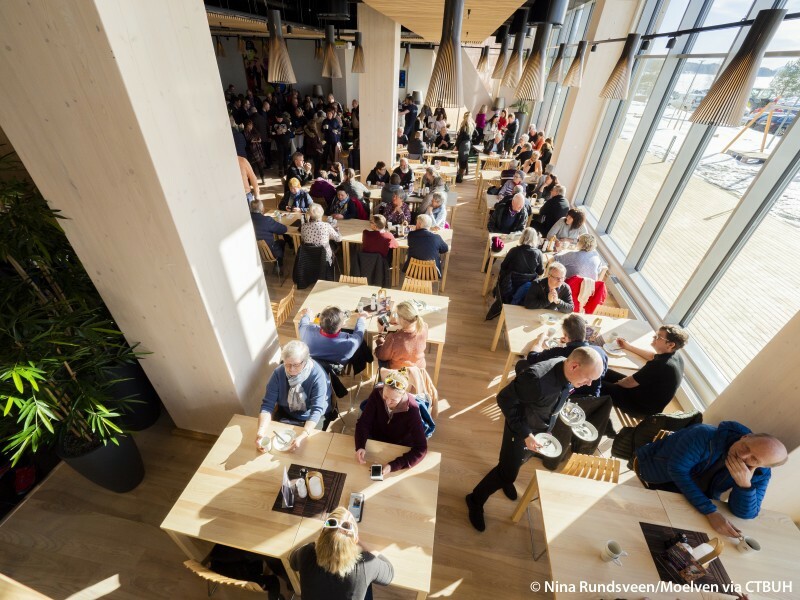 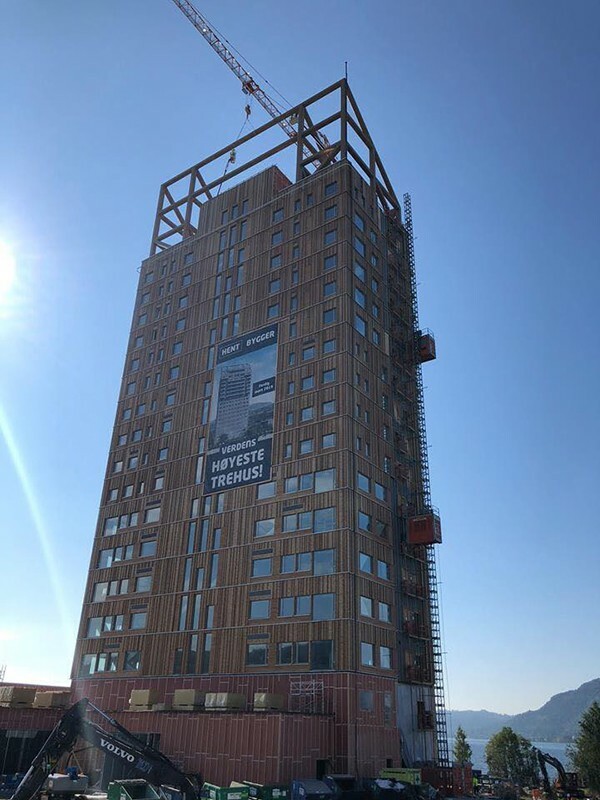 All key structural components of Mjøstårnet are composed of engineered timber, utilizing glue-laminated timber for beams and columns and cross-laminated timber for the core walls containing the building’s elevator and stairway shafts. 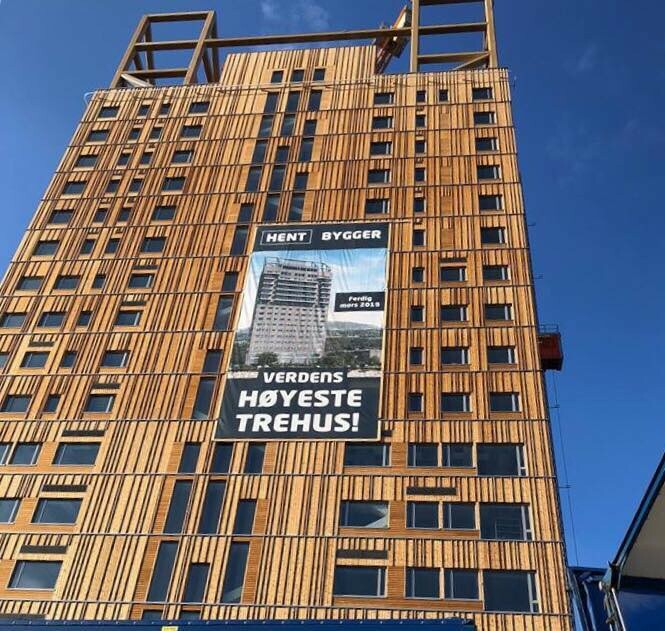 The glue-laminated columns were fabricated with pre-drilled holes and assembled onsite into vertical trusses of up to five floors in height, providing stability to horizontal and vertical forces. 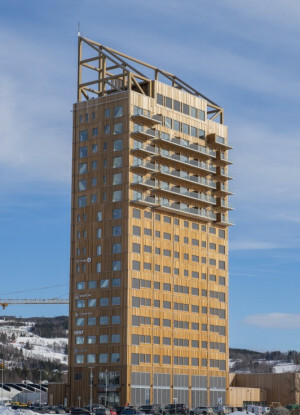 Floor slabs for levels 11 and below are also crafted from timber beams, topped with laminated veneer lumber and a thin 50-millimeter layer of concrete for acoustical and vibrational performance, while levels 12 and above have floor slabs fully composed of concrete to increase weight and achieve the desired dynamic behavior in periods of strong winds. 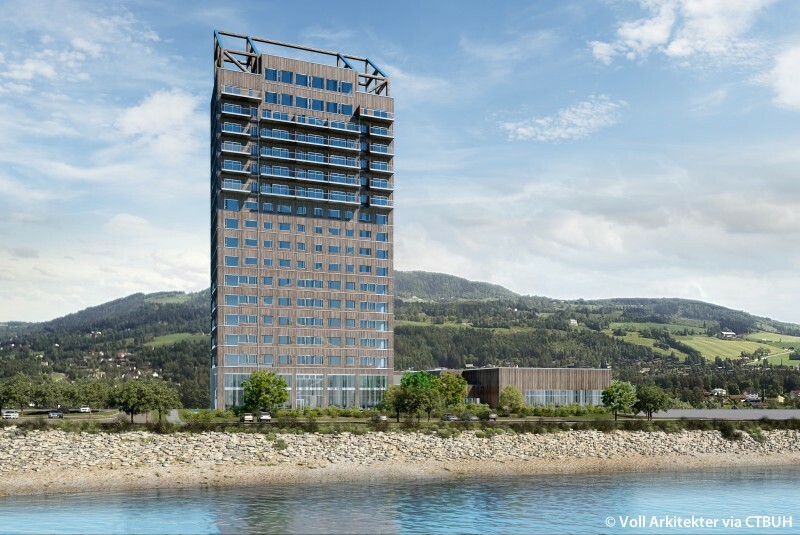 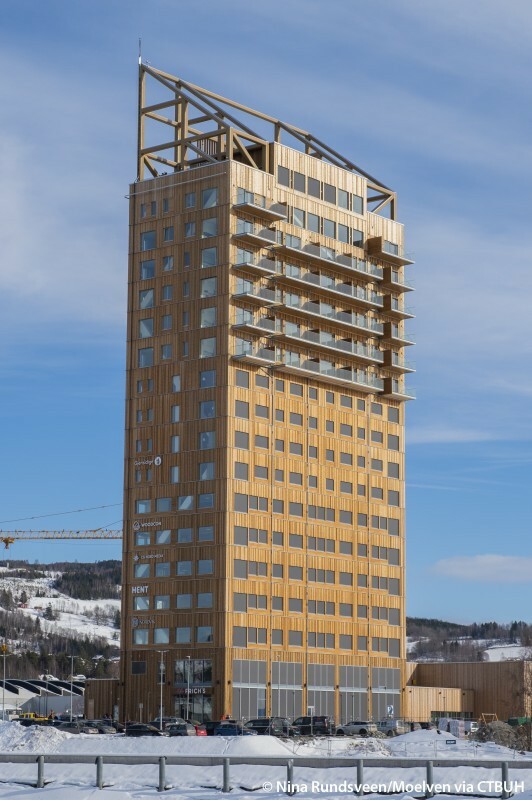 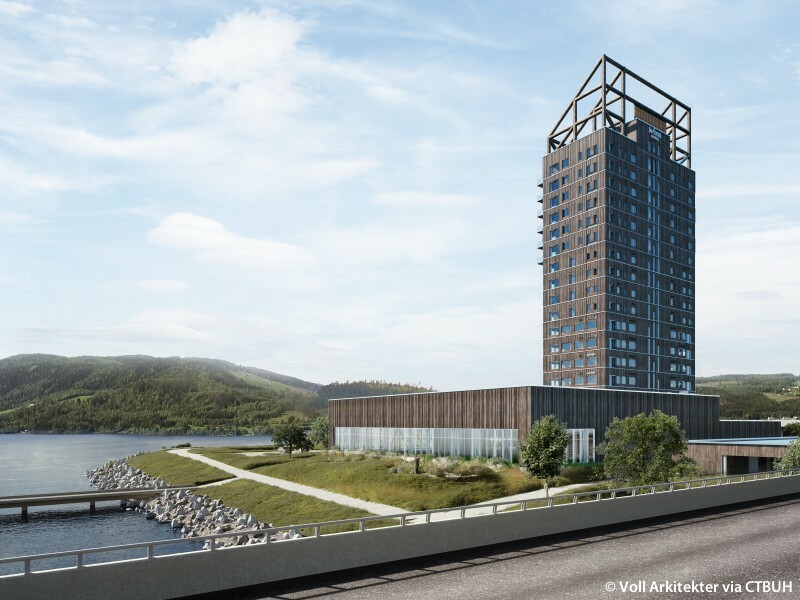 CTBUH has verified Mjøstårnet in Brumunddal, Norway, as the “World’s Tallest Timber Building,” rising at 85.4 meters.